Mohamad Sadeghi is an Iranian Actor. 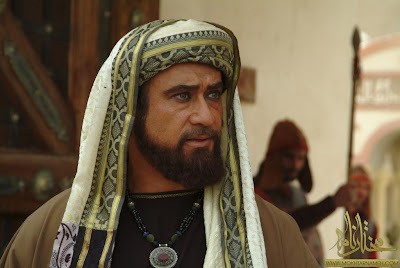 He Acted as Prophet Ibrahim in the Movie Abraham The Friend of GOD. Beside this he worked in Mokhtarnameh and Gharib-e-Toos/Wilayate Ishq( A movie on Imam Reza a.s.) as Mamoon Rashid. He also acted in Sitarae Khizra/Green Star as Chirstian who converted to islam.